Overlapping emergency calls have been a thorn in the side of the Auburn Fire Department in the first weeks of 2015 as crews attempt to meet public need under new staffing conditions. The loss of federal grant funding for five temporary firefighters, coupled with the city’s inability to afford all of the positions on its own, have raised concerns within the department about the personnel and equipment available during emergencies. While the city was able to retain two of the firefighters with a third hired into an open position, two others were not retained. The loss of these positions automatically caused a shift in the personnel and equipment at the department’s disposal, said Division Chief Corey Zander. 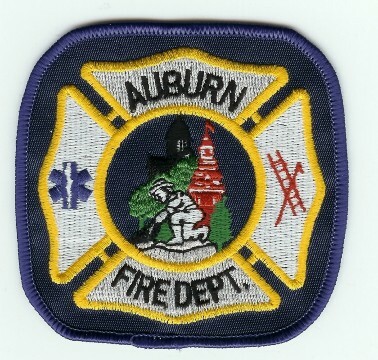 Between Jan.1 and Jan. 12, Auburn firefighters had to rely on outside fire departments six times due to simultaneous medical aid calls. By comparison, crews had five calls they could not immediately answer in all of 2014, according to Zander. The federal SAFER grant, or Staffing for Adequate Fire and Emergency Response grant, allowed the city to hire five temporary firefighters for two years without requiring matching funds from city coffers. Zander, who also represents the Auburn Firefighters Association, said while some of the firefighters were retained permanently, there is simply not enough staff to run a second engine safely or effectively. “We have had six simultaneous incidents for Jan.1 through Jan. 12 with the longest ‘code 3’ response time being 13 minutes for a cardiac emergency patient. The closest available engine responded from Penryn. Our one engine was committed to a structure fire six minutes prior to the medical aid and was unable to respond,” he said. City Manager Tim Rundel said he had not been informed of any problems regarding emergency responses within the city nor had he seen an official report from the department. Rundel said the city made a substantial effort to retain as many firefighters as possible toward the end of the SAFER and said adjustments would be made as needed once all of the data was reviewed. Council member Daniel Berlant, who also works as a CAL FIRE public information officer, said he does not believe the staffing concerns are connected to the ongoing labor negotiations between the city and the Auburn Firefighters Association. Berlant said the issue comes down to not only meeting the daily average demand for emergency services, but also planning for worst case scenario events, like large scale wildfires. “Those are the type of emergencies we need to staff a department for,” he said.